No self-storage facility can run effectively and efficiently without a comprehensive operations manual. 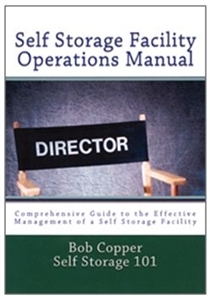 This detailed, comprehensive guide instructs facility owners and managers in how to manage the day-to-day functions of a self-storage facility, from opening and closing the office to everything in between. It will assist industry professionals in setting forth the policies and procedures by which their company will operate.